Esto es 2 X CUBIERTAS DE CAUCHO Para una caja de cambios de 6 velocidades BMW MINI ONE GETRAG. El producto envasado consta de 2 X CAJAS DE FIN DE GOMA. Condiciones de venta. Envío internacional. Se requieren dos por coche, pero descripción es para un sólo se. La pieza 26111225624 fue encontrada en los siguientes vehículos Disco de junta LK = 78MM / D = 110MM LK = círculo de pernos. MINI paceman de compatriota R60 R61. MINI Countryman R60 (01/2010-10/2016). AUSTIN / ROVER Mini. from 1960 to 1984. for models with Front Drum Brakes. Can't find what you're looking for?. Looking to place a bulk order?. To service two wheels. Available at checkout for £3.99. MINI MINI (R50, R53) Cooper 06.01 - 09.06 85 116 1598 Radlagersatz: Bj. MINI MINI (R50, R53) Cooper S 03.02 - 09.06 120 163 1598 Radlagersatz: Bj. MINI MINI (R50, R53) Cooper S 07.04 - 09.06 125 170 1598 Radlagersatz: Bj. La pieza 26109806353 se encontró en los siguientes vehículos Mini R60 R61 Su compatriota Paceman. MINI Paceman R61 (03/2012 – 09/2016). MINI Countryman R60 (01/2010-10/2016). Origen: MINI Countryman Cooper S (R60). PART NUMBERS - PDK1268. WHEEL BEARING. WHEEL BEARINGS. FRONT TO FIT EITHER SIDE. 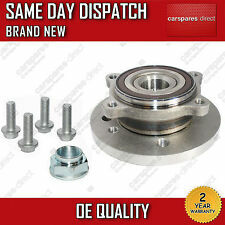 Classic mini front taper wheel bearing kit for all disc brake models. This kit includes, hub seals, collar, grease and split pin for ONE side. AUSTIN / ROVER Mini. from 1959 to 2000. To service two wheels. Can't find what you're looking for?. Looking to place a bulk order?. to fit the following vehicles. 31226756889 ; 6756889 ; 31226 756 889 ; 31 22 6 756 889. 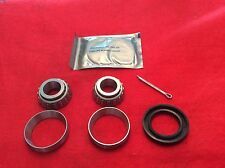 Front Wheel Bearing Hub Kit para BMW MINI ONE COOPER WORKS R50 R52 R53 R55. 2001-2006 MINI MINI (R50, R53) Cooper. 2002-2006 MINI MINI (R50, R53) Cooper S.
MINI MK 1 ( R53). MINI MK 1 CONVERTIBLE (R52). Crankshaft Pulley. Anti Roll Bar link. Oil Sump Pan. Lower Ball. NEW WHEEL BEARING HUB SUITABLE FOR Wheel Hubs and Bearings. PART NUMBER: AAU8424. Classic Mini Gearbox Bearing - 1st Motion Shaft - Bearing with Outer Race. Codice ricambio PMBM018. MINI Cooper. Van mini Cooper D Clubvan R55. Van mini Cooper Clubvan R55. Obras de Cooper S Clubman R55. Obras de Cooper S Clubman R55 LCI. Cooper D Clubman R55 LCI. Cooper S Clubman R55 LCI. 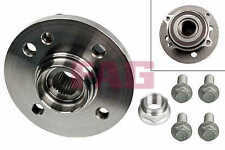 Front Wheel Bearing Hub Kit para BMW MINI ONE COOPER WORKS R50 R52 R53 R55. 2001-2006 MINI MINI (R50, R53) Cooper. 2002-2006 MINI MINI (R50, R53) Cooper S. 2001-2006 MINI MINI (R50, R53) One. 2003-2006 MINI MINI (R50, R53) One D.
This kit is for the 1st generation Mini which was 07/2004 - 11/2006. We have gearbox experts standing by ready to help with any enquiries you may have with manual or automatic gearboxes. Mini MA Bearing KitBUY IT NOW. Codice: 33409806302. ORIGINALE- MINI R60, R61. MINI Paceman R61. MINI Countryman R60. Cooper D 1.6 Paceman (ECE). Cooper Paceman (USA). Cooper Paceman (ECE). Cooper D 1.6 Countryman (ECE). 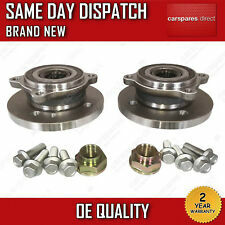 Classic mini front taper wheel bearing kit as fitted on disc brake model minis. We are Minimine Ltd, from Stoke-on-Trent, we have been trading in Mini parts and accessories since the early 1990's. Fits all disc brake models 84-01 as well as the earlier cars that were fitted with disc brakes including the Cooper S and 1275GT. Wheel bearings are important components of cars that relevant to safety. They are responsible for stable driving behaviour. 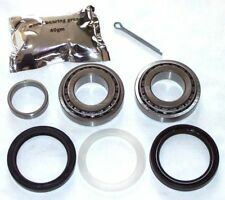 Type: Bearing Kit. Fits Years: 2004, 2005, 2006, 2007, 2008, 2009. Make: Mini. Classic mini front inner hub seal for wheel bearing on all classic mini models. This kit is for the 1st generation Mini which was 07/2004 - 11/2006. We have gearbox experts standing by ready to help with any enquiries you may have with manual or automatic gearboxes. Land Rover. Mini MA Bearing KitBUY IT NOW. Front Wheel Bearing Hub Kit Mini Cooper S John Cooper Works One SD 2006- 14mm. Mini Mini Cooper 2006-2014. Mini Mini Cooper 2009-2011. Mini Mini Cooper 2009-2014. Mini Mini Cooper 2010-2014. Mini Mini Cooper SD 2011-2014. This kit fits the 5 speed getrag GS5-52BG gearboxes which are found in 1.6 Mini Cooper / One models manufactured after July 2004. We have gearbox experts standing by ready to help with any enquiries you may have with manual or automatic gearboxes. PART NUMBERS - PDK1268. WHEEL BEARING X2. WHEEL BEARINGS. BRAND NEW TOP QUALITY HUB AND BEARING. Wheel bearings are important components of cars that relevant to safety. They are responsible for stable driving behaviour. 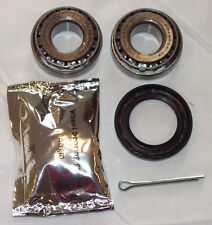 Type: Bearing Kit. Fits Years: 2001, 2002, 2003, 2004, 2005, 2006. Make: Mini. Wheel bearings are important components of cars that relevant to safety. They are responsible for stable driving behaviour. 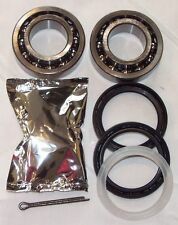 Type: Bearing Kit. Fits Years: 2001, 2002, 2003, 2004, 2005, 2006, 2007, 2008, 2009. Please read full listing description carefuly before you order to make sure the part does fit your car. 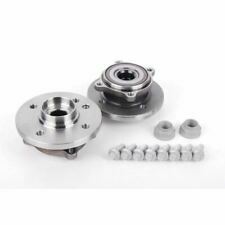 - MINI ONE COOPER WORKS (R50 R52 R53) 01-06 REAR NEW 2 WHEEL BEARING HUB KIT. Codice: 21511044092. Cuscinetto Reggispinta leva di disinnesto. Model/Series: Mini R50. Position on Vehicle: Rear Wheel ABS Hub Bearing. Vehicle: BMW. Year: 04/2001-06/2006. You can use us for headlights, rear lights, door mirrors, mirror glass and covers as well as a constantly developing range of performance lighting. Mini R50 R53 One. Mini R50 R53 One D. Mini R50 R53 Cooper S. Mini R50 R53 John Cooper Works. Mini R50 R53 S Works. Mini R50 R53 Works. Mini R50 R53 Cooper. Mini R52 One. Model/Series: MINI Hatchback R56. Year: 08/2006-12/2014. Position on Vehicle: Front Wheel ABS Hub Bearing. Vehicle: BMW. You can use us for headlights, rear lights, door mirrors, mirror glass and covers as well as a constantly developing range of performance lighting. Mini Mini R50 R53 Cooper. Mini Mini R50 R53 Cooper S. Mini Mini R50 R53 John Cooper Works. Mini Mini R50 R53 One. Mini Mini R50 R53 One D. Mini Mini R50 R53 Works. Mini Mini R50 R53 S Works. Mini Mini R52 John Cooper Works. Parte: KWB891. Manufacturer Part Number KWB891. Que cubre sólo la tecla de movimiento rápido aplicaciones de las piezas clave de gama consiste en hoy frenado, dirección y suspensión, cojinetes, bombas de agua y Kits de embrague, con inversión mínima de acciones para la máxima oportunidad de ventas. Mini - Mini (R50, R53) - Cooper. MINI - MINI (R50, R53) - Cooper S. Mini - Mini Descapotable (R52) - Cooper. Mini - Mini Descapotable (R52) - Cooper S. MINI - MINI Convertible (R52) - John Cooper Works. PART NUMBER: 13H7848. 4 synchro A series gearbox. 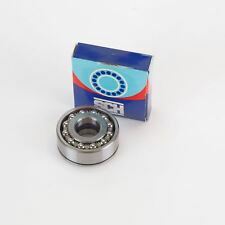 Needle idler bearing for Classic Mini to 1980. This is for the 4 synchro A series gearboxes used to 1980; will not fit A 4 sync or 3 sync 'boxes. Austin 1968-79.